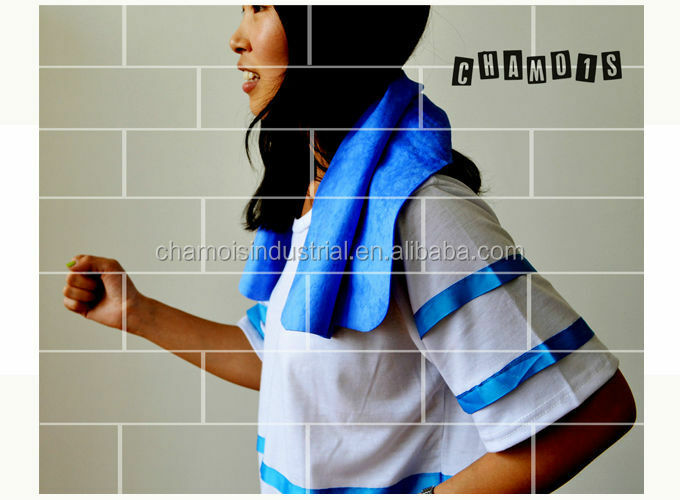 Custom shammy towel made of PVA and starch, 100% eco-friendly for using. 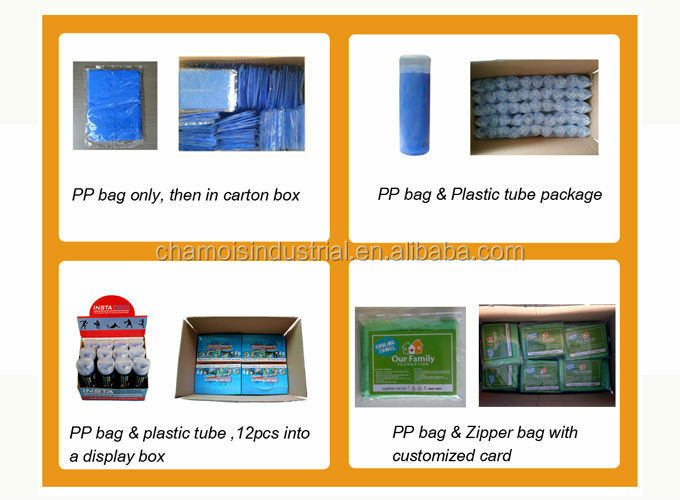 with cotton mesh inside, make it durable for many times use. 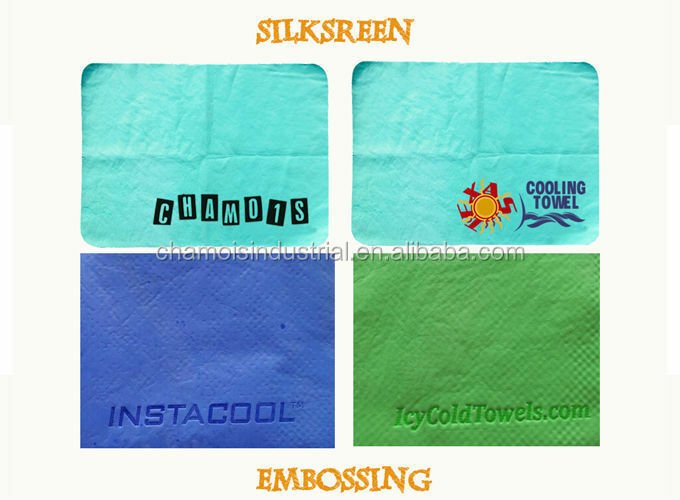 Custom shammy towel has been widely used as sports cooling towel. 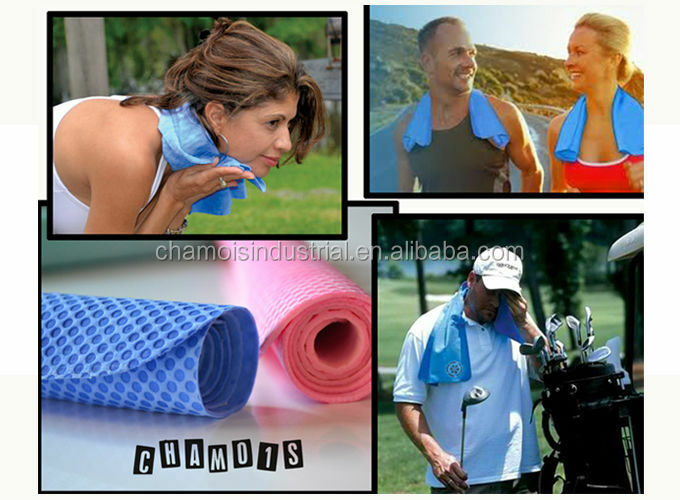 take it during a work , bike rides, golfing, or other outdoor activity, it is really keeps ypur cool. 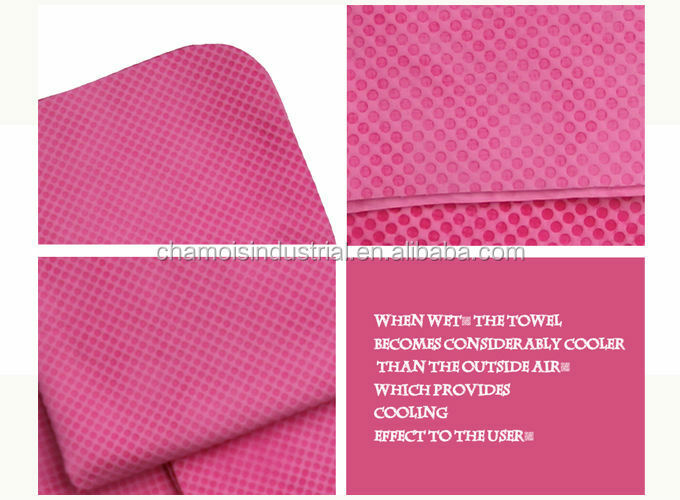 When wet, the towel becomes considerably cooler than the outside air, which provides cooling effect to the user. Keep it, just like take your own air-condition with you. When it stops cooling, just simply re-wet the towel in any water and wring it out. Within minutes it is cool again. Also, it is awesome for Cleaning and drying. 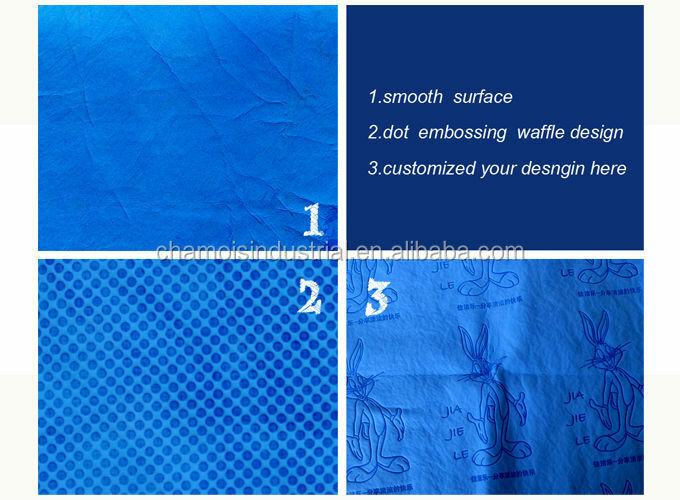 use it as a cleaning towel, cleanng without water spots and dustless. 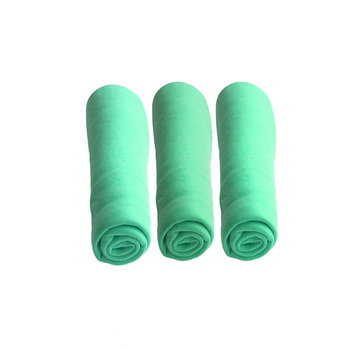 use it as a drying towel, it feels like a cloth absorb like a sponge. 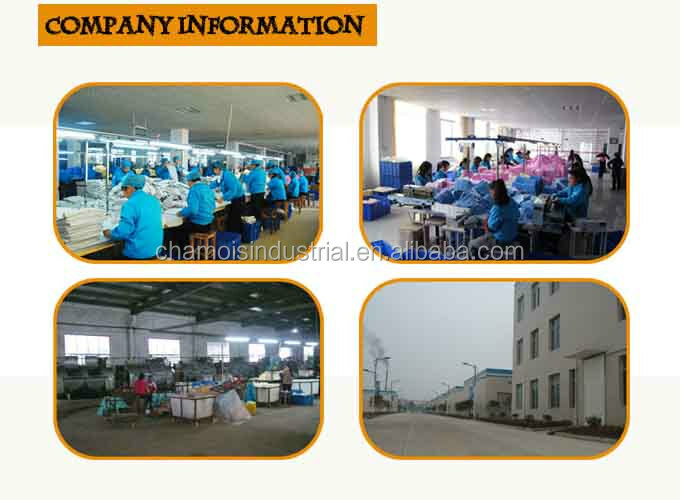 use it, just enjoy the cleaning with us. 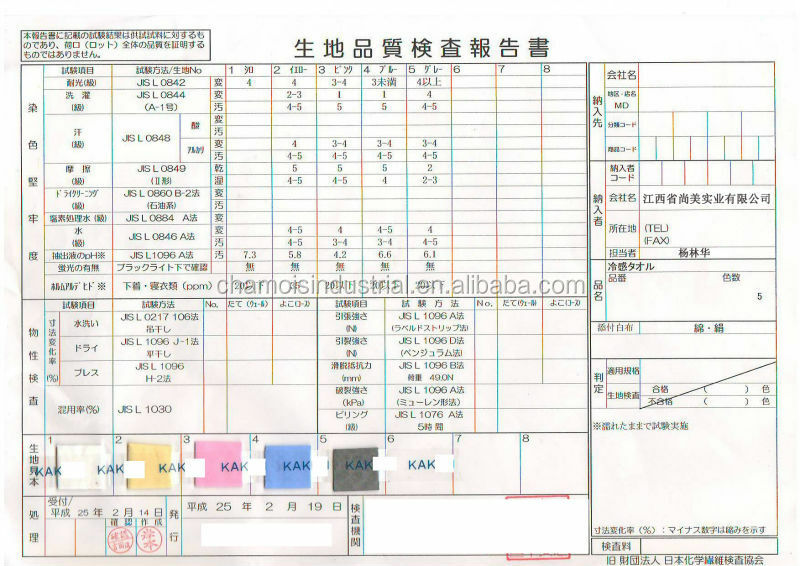 it is really good helper to our daily life.